Google™ recently announced how to support LDAP with Google Cloud Identity. Google’s aim with building this capability is to expand the usefulness of their cloud identities and enable them to authenticate to LDAP-based applications in addition to G Suite™, GCP, and other Google services. In order to understand the impact for IT organizations, we need to take a step back and understand what Google Cloud Identity is and what Google’s intentions are with it. The Google Cloud Identity story doesn’t begin with identity management at all. Google’s interest in the overall business space has been to create infrastructure platforms such as G Suite™ and Google Compute Engine™ (GCE). 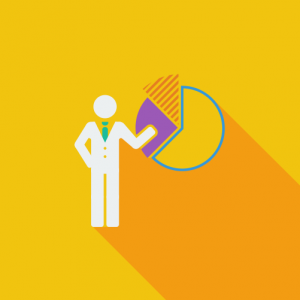 Identity management has largely been a means to an end. What we mean by that is Google Cloud Identity is a way to make it easier to adopt Google’s cloud platforms. With one identity across their services, it is much easier to utilize Google’s offerings. We all hate having to sign up for multiple services and juggle identities and their associated passwords. To that end, G Suite integrates with on-prem LDAP and Microsoft® Active Directory® (MAD or AD) servers. In general, the viewpoint has been to extend on-prem identity providers to sync with G Suite directory, which is effectively a user management system to G Suite, Google Cloud Platform™ services, and a limited selection of SAML and LDAP-based applications. But, that solution leaves out a lot of resources that users leverage every day. Unfortunately, the concept of authenticating and managing systems, on-prem and cloud servers (e.g. AWS®, Azure®), on-prem data centers, file servers (Samba and NAS appliances, Dropbox™), WiFi through RADIUS, and more are really outside of the concept of Google Cloud Identity, which goes back to Google’s intentions. Google seems interested in competing with Office 365™ and AWS, but hasn’t seemed all that interested in picking a fight with Active Directory. As a result, IT admins are left with a productivity platform in the cloud and their identity management infrastructure on-prem. When you utilize these two solutions together, agility is not a byproduct of the combination. You’re effectively locked into Google tools and Microsoft’s identity provider. With one foot in the cloud and another on-prem, organizations have difficulty adopting new services that could benefit them. Luckily, for innovative companies that want to leverage LDAP, SAML, RADIUS protocols without getting locked into a specific vendor, the next generation of cloud identity management solution has arrived. It’s called JumpCloud® Directory-as-a-Service®, and it is a reimagination of Active Directory for the cloud era. 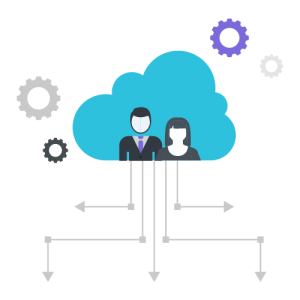 JumpCloud enables admins to connect their users to the IT resources they need without having to create workarounds or add-on solutions to Active Directory. When you leverage Directory-as-a-Service, users can log in to their systems (Mac®, Linux®, and Windows®), applications on-prem or in the cloud (Jira®, OpenVPN™, Salesforce®), files whether they’re in the cloud (Box™, Dropbox™, G Drive™) or on-prem (Samba/NAS appliances) and networks through RADIUS with no on-prem identity provider hardware required. Plus, Directory-as-a-Service integrates with G Suite, so users can log in to all of the services listed above with their Google account. That means more time for your employees to be productive and less time troubleshooting on-prem issues for IT admins. If you’re ready to leave vendor lock-in and on-prem tools behind and join the cloud movement, sign up for a free JumpCloud account today. 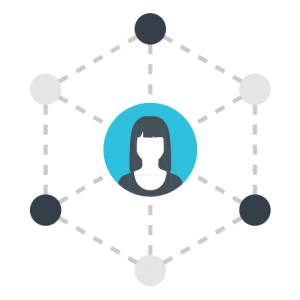 Our free account allows you to connect your users to virtually any grouping of IT resources with a single set of credentials. 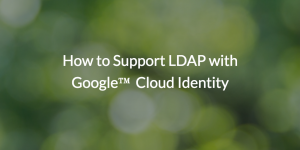 It’s a great answer to the question of how to support LDAP with Google Cloud Identity. Plus, you won’t need a credit card to sign up. Feel free to schedule a demo or contact us today, and an expert will be happy to guide you. Also, subscribe to our YouTube channel to remain up to date on JumpCloud’s evolving product.